We are delighted to announce that Richaven Raider Squaw has classified EX97-6E at 11 and a half years old, currently in her eighth lactation. Also on the same day Richaven Goldwyn Adrienne scored EX96-4E in her fifth lactation. Both are high classifying cows that milk, breed and show. 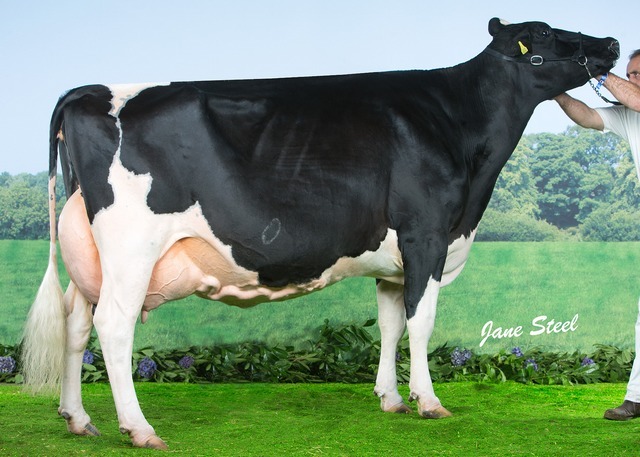 Richaven Raider Squaw has bred Richaven Goldwyn Squaw EX93 who was first at the Dairy Event and nominated All Britain as a junior three year old, together with her dam they stood All Britain dam and daughter pair 2011. 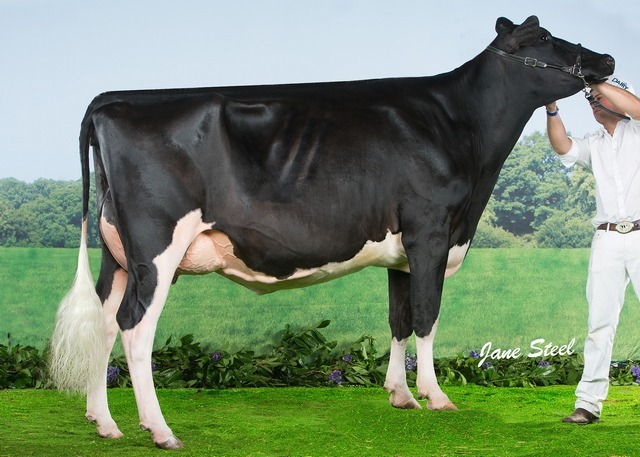 Also Richaven Sid Squaw 3 VG89 who was first intermediate two year at UK Dairy Day and reserve All Britain junior two year old 2014. Richaven Goldwyn Adrienne EX96 stood All Britain mature cow 2013 having stood Holstein champion at Agri-Scot 2013. She has a milking Windbrook daughter at Richaven who is classified VG86 2yo and Richaven Doorman Adrienne who sold for 7000gns a four months old.